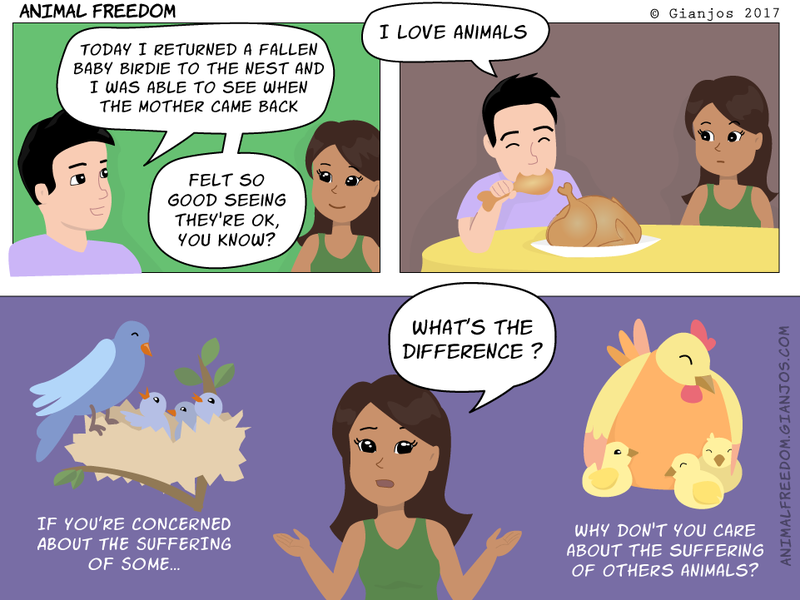 why don't you care about the suffering of other animals? por que não se preocupa como sofrimento de outros? 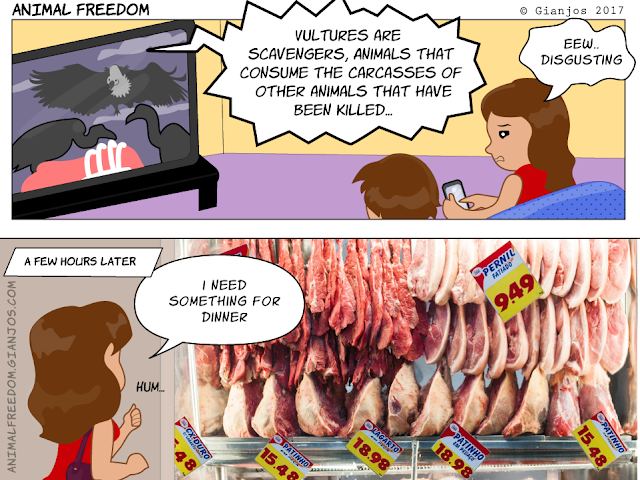 Vultures are scavengers, animals that consume the carcasses of other animals that have been killed... Are you served? Are humans scavengers too?